s the granddaughter of Thomas Coutts, founder of the famous London bank, Angela Burdett-Coutts was one of the wealthiest woman in Victorian England. She was one of the busiest as well, not only helping to manage the bank, but also engaging herself very actively in an enormous range of philanthropic projects. 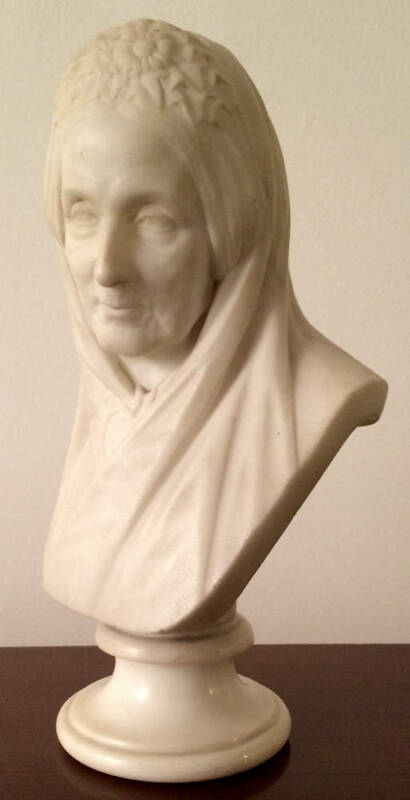 Preserving Dame Schools, opening Ragged Schools, and instituting night classes for the unskilled, were just some of her efforts in the field of education. Housing for the poor in the East End was another area that attracted her attention. Yet another was the rehabilitation of "fallen women": Urania Cottage, at which they could acquire new skills, was set up with Dickens's assistance in 1847. During the Crimean War she helped to support the families of the soldiers, and sent Florence Nightingale a linen drier which she herself had designed for hospital laundry. Cancer research owes much to her early financial support of London's Royal Marsden Hospital, then the Brompton Cancer Hospital. Burdett-Coutts is perhaps best known now for another reason. The NSPCC (the National Society for the Prevention of Cruelty to Children) came about as a result of a meeting of the RSPCA (the earlier, equivalent society for animals) under her Presidency. 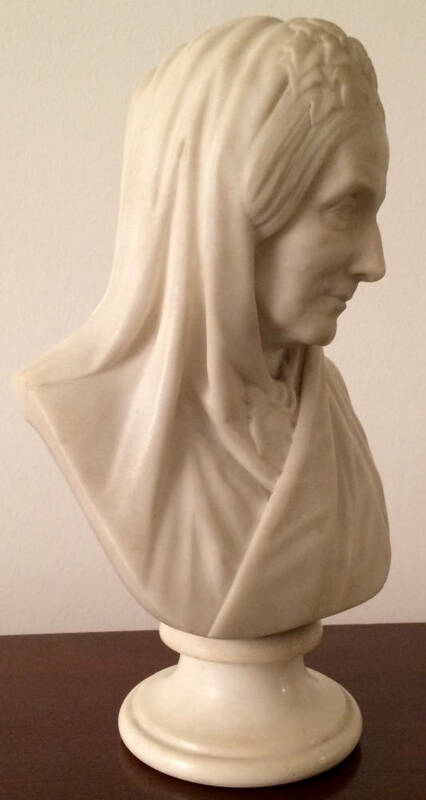 In 1871, Burdett-Coutts became "the first woman to have been made a peer in recognition of her accomplishments" (Mitchell 103), and in the early seventies she was given the freedom of the cities of London and Edinburgh. A deeply religious woman, known as the "Nursing-Mother of the Church of England" as well as "Queen of the Poor," she was also the last Lay Rector of St Pancras Old Church. In 1879 she unveiled a memorial obelisk, with a sundial, in its gardens. This was in memory of the important people who had been buried near the church, and whose graves had been disturbed by the encroachments of the Midland Railway. The Gothic-style sundial was modelled by George Highton of Brixton from Portland stone, marble, granite and Mansfield stone, with elaborate mosaic work, and is a Grade II listed structure. Among Burdett-Coutts's other lasting architectural legacies are St Stephen's in Westminster, a Gothic Revival church designed for her by Benjamin Ferrey (with school buildings and vicarage in the same complex); the extravagant but now rather decrepit Victoria Fountain in the East End's Victoria Park; and the first example of a gated housing development, Holly Village in Highgate. The fountain and village were both designed for her in elaborate Gothic style by Henry Astley Darbishire. The village has been listed by the local authority as Grade II starred, because of its particular architectural importance. It consists of a group of twelve up-market dwellings apparently intended (though there is some dissent here) as an economic rather than a charitable venture — as Camden Council puts it, for "private rent to those on considerable incomes." Also according to Camden Council, it was built by William rather than the more commonly cited Thomas Cubbitt, and no expense was spared in the construction: Italian craftsmen were employed for the exterior wood carving, and there are many other "picturesque and fanciful" details (Weinreb and Hibbert 400), including sculptures of Burdett-Coutts herself and her governess and long-time companion, Hannah Brown, on either side of the entrance archway. Holly Village is a unique example of full-blown Victorian Gothic in a residential complex. A friend not only of Dickens but also of many famous people of the day, including both Gladstone and Disraeli, Baroness Burdett-Coutts finally got married in 1881. Her husband William, who took her surname, was less than half her age: he had been her protégé and secretary, and would later become the MP for Westminster. William was American by birth, which meant that under the conditions of her legacy Burdett-Coutts forfeited much of her inheritance. Nevertheless, she continued to support her charitable projects both at home and in a wide range of countries abroad. Despite pursuing some of his own interests, her husband carried on a good deal of her work after she died. Camden Council. "Listed Building Details". Viewed 2 May 2008. A Guide to St Pancras Old Church (available at the church, Pancras Road, London NW1). Healey, Edna. Lady Unknown: Life of Angela Burdett-Coutts. London: Sidgwick & Jackson, 1984. "Holly Village," BBC item broadcast on 27 December 2006, and available here. Orton, Diana. Made of Gold: Biography of Angela Burdett-Coutts. London: Hamilton, 1979. Plaque in front of the Memorial Sundial, St Pancras Old Church Churchyard, London. Victorian Britain: An Encyclopedia, ed. Sally Mitchell. New York & London: Garland, 1988.